Taking photos with your iPhone can be a fun and effortless process, but for more serious shutterbugs, the limitations of a cameraphone are many. Being stuck with just one focal length — or just two, in the case of the iPhone 7 Plus — limits creative potential, while the physical design of a phone simply isn’t well suited for extended photo sessions. Bitplay wants to solve both of these issues with the $50 Snap! 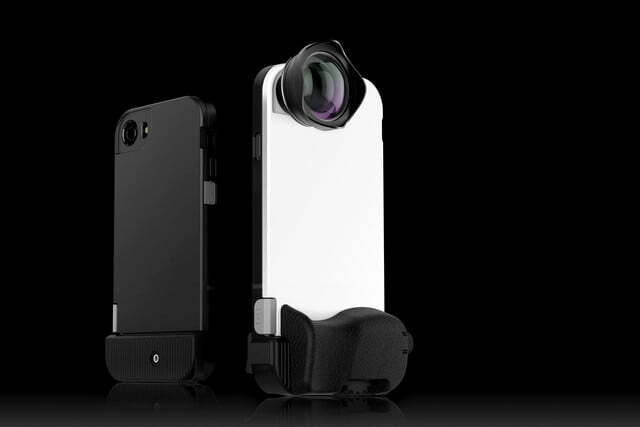 7 case, which adds an interchangeable lens mount and improved ergonomics for iPhone 7 and iPhone 7 Plus photographers. Updated on March 15, 2017: Changed information about availability. The Snap! 7 case is available now through AC Gears, and B&H later this month. See below. One of the best features of the Snap! 7 case may simply be its physical shutter button. Experienced iPhone shooters are well aware that either volume button can be used as a shutter release, but as the volume controls are on the same end of the phone as the lens, this doesn’t work well for shooting in landscape orientation, especially when trying to hold your phone in just your right hand. Trying to hold the phone in any sort of secure way with your index finger on the volume button will block the lens. The Snap! 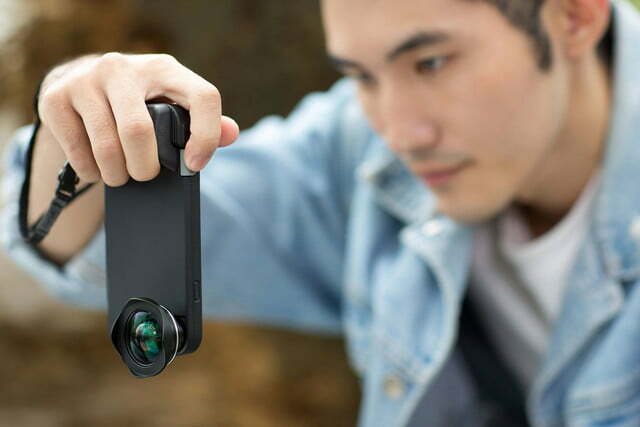 7 case puts the shutter button on the opposite side and end of the phone, allowing for a much more natural shooting position in landscape orientation. Beyond that, a removable grip and thumb rest further increase ergonomics and promise improved stability, especially for one-handed use. 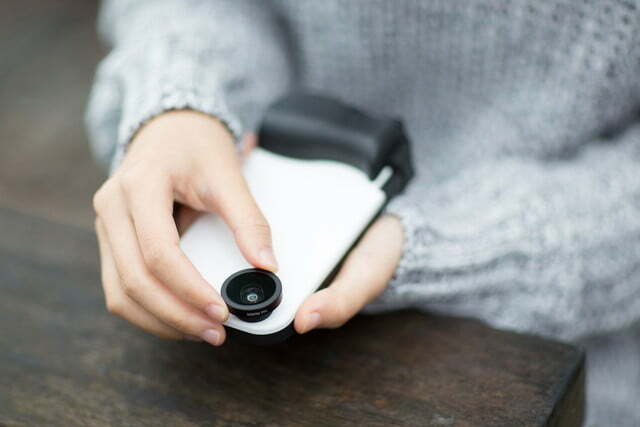 For an even classier experience, iPhoneographers can add a bit of sophisticated flair with the optional wooden grip for $45. The other key selling point of the Snap! case is the lens mount. Bitplay currently offers seven accessory lenses, including the new “HD” wide angle that offers an 18mm equivalent field of view compared to a full frame camera. Other optics include a 3X telephoto, two different wide-angle plus macro lenses, two different fisheyes, and a circular polarizer. While the HD wide angle costs $100, the others are all between $20 and $33. iPhone 7 Plus users will have full use of that phone’s dual cameras when not using the case with an accessory lens attached. The Snap! 7 case also features a built-in 1/4″-20 thread for easy attachment to any standard tripod. While the product looks promising, we can’t help but wonder if carrying around a case, attachable grips, and multiple lenses is really any more convenient than keeping a small mirrorless or advanced compact camera with you. With the Snap! 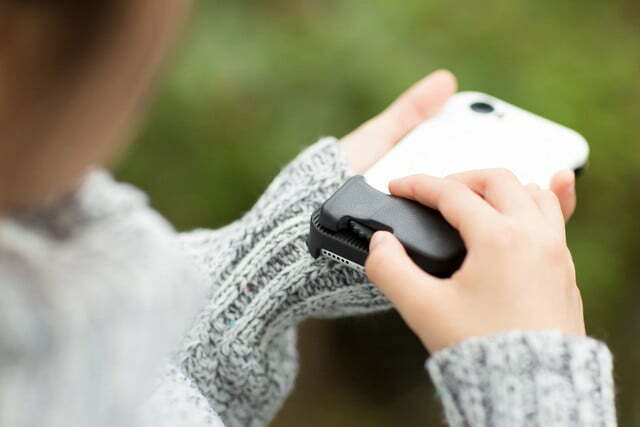 7 attached and fully accessorized, it seems actually using your phone as a phone would become rather cumbersome, but mobile photo enthusiasts may not mind carrying the case with them separately. The Snap! 7 is available now through AC Gears (online and at AC Gears’ New York City location), and will be available via B&H later this month. In addition to the bare case, customers can purchase additional lenses.